Welcome to the tiny, sand island of Seco. Rusty Young is an Australian-born writer known for his book, Marching Powder. He was joining the Funboard Center Boracay for a couple of month while working on his second book. Read more about Welcome to the tiny, sand island of Seco. With a lot of wind into 2014 at Bulabog Beach! We had some nice Christmas holidays and are now looking forward to the next couple of days here on Boracay. A short view in Windguru speaks volumes: After the last few days with light wind only this is just pure pleasure for all kitesurfers and windsurfers at Bulabog Beach. The impact of typhoon Haiyan is reduced to a minimum: Only some brownouts occur once in a while, but that is pretty much everything. Finally there is no more reason left not to spend holidays on Boracay. Read more about With a lot of wind into 2014 at Bulabog Beach! Yesterday was a big day for Funboard Center Boracay. A new Spanish tapas bar was opened last night at the schools own Tabou cafe. About 100 guests that gathered to the official opening ceremony could also congratulate the school with 10 year anniversary. The beginning of the peak season at Funboard Center Boracay looks very promising. After two days of low wind all our kitesurfing and windsurfing instructors are fully busy teaching. 5 kitesurfing instructors and 2 windsurfing instructors were all together in the the water with their students this morning. How ist the current situation at Bulabog Beach on Boracay Island? 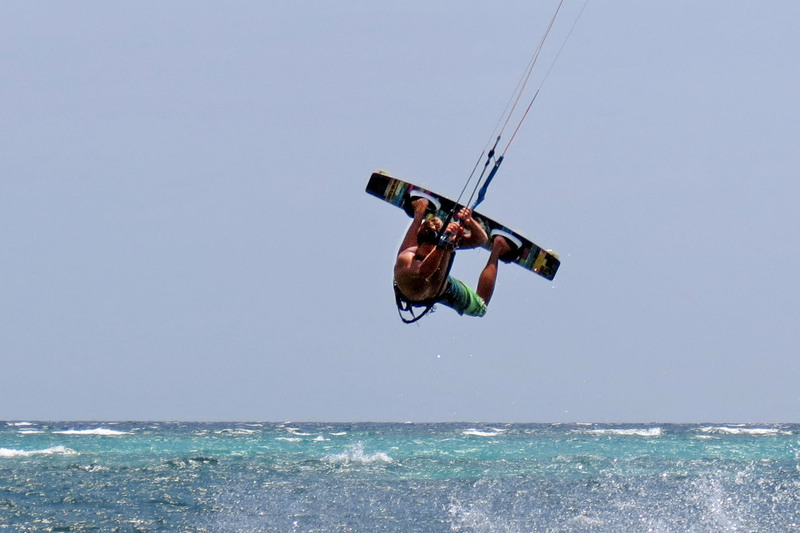 Manny of the wind-and kitesurfers are worried about their holidays on the Philippines after the devastating damages occured through the Typhoon Haiyan. Luckily the Typhoon has slow down its strength when he fell on land in the southeast oft the Philippines. We'd like to thanks all of you for your good thoughts, wishes and offer to help. Luckily Boracay, White and Bulabog Beach could master one of the most powerful storms on record - named " Haiyan" or "Yolanda" by Philippine authorities. The most legendary White Beach has almost been untouched. Everyone has been warned early enough and could secure their places, houses or other belongings as kite and windsurfing equipment a day before. The Philippines rarely escape a year without experiencing a devastating typhoon. The western Pacific storm Haiyan has intensified without interruption since Sunday and is now a dangerous Category 5 super typhoon, with maximum sustained winds exceeding 300km/h. Its likely the strongest storm to form on the planet this year. Evacuations are already underway as the storm produce damaging winds and flooding rains. Some of the country's most popular islands for tourists, including world-famous Boracay as well as Bohol, are in the typhoon's path.